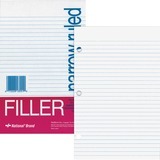 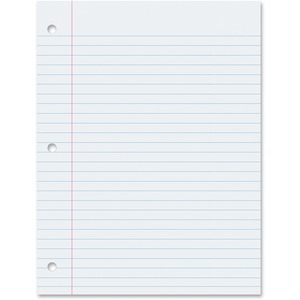 Ruled filler paper features a Mylar-reinforced edge at the binding side to prevent tear-out. 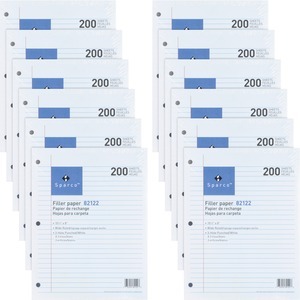 Each 20 lb. 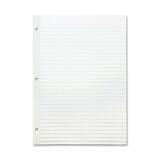 sheet is punched with three 9/32" round holes to fit inside standard three-ring binders. 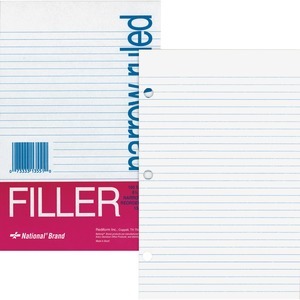 Filler paper offers a legal/narrow-ruled design and is three-hole punched to fit inside three-ring binders. 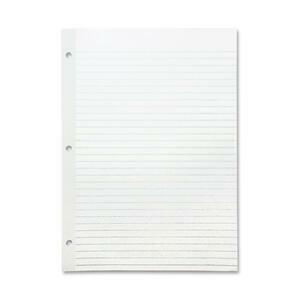 Quality writing paper is excellent for themes and penmanship. 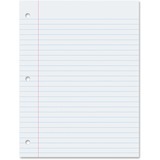 Clear, smooth white bond is ruled on both sides for a wide variety of uses. 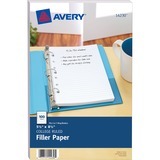 White filler paper is three-hole punched and ready to insert into standard ring binders. 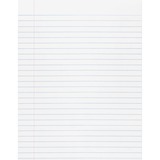 Each 15 lb. 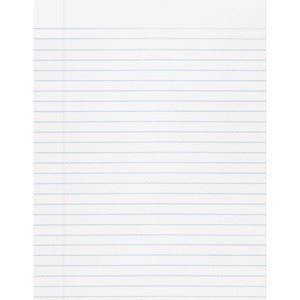 sheet is legal/wide-ruled with 11/32" line spacings and a red margin line on the left. 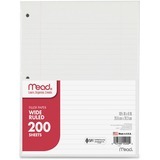 Heavyweight stock makes this paper extra durable so it will not rip out of binders. Always have a place to pen your thoughts with our Filler Paper for 5-1/2" x 8-1/2" mini binders. 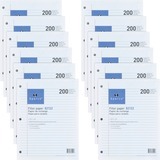 Our medium weight, college-ruled filler paper is pre-punched with seven holes to conveniently fit in your three- or seven-ring mini binder. 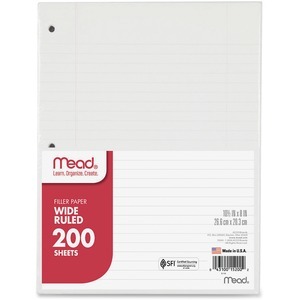 The package contains 100 sheets so you'll always have paper at the ready, whether at home or on the road. 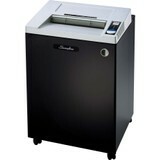 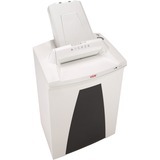 ShredMaster LX1942 shredder is ideal for high-volume departments and central areas. JamStopper electronics make it ideal for multiple-user environments. A 16" wide-mouth paper throat allows the high sheet capacity. 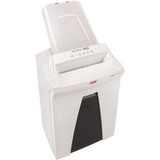 GSA and TAA compliant shredder shreds 19 sheets of 20 lb. per pass into cross-cut pieces at 24' feet per minute into a 42 gallon pullout drawer. 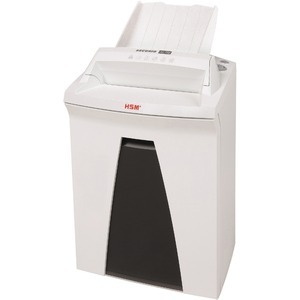 Security level 3 shredder shreds paper and cuts up staples and credit cards.